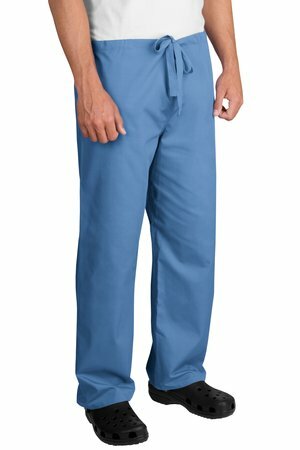 The CornerStone – Reversible Scrub Pant Style CS502 is available in Adult Sizes: S-4XL. This scrub pant is booth comfortable and smooth. Our comfortable scrub pant has a smooth professional look. It is made of 65/35 poly/cotton with a dyed-to-match drawstring. It also features a back pocket on both sides. Be the first to review “CornerStone – Reversible Scrub Pant Style CS502” Click here to cancel reply.